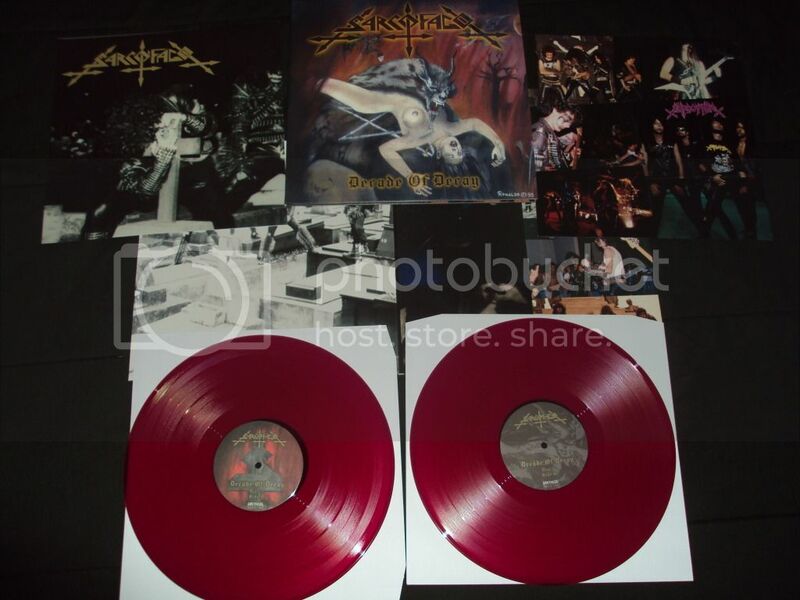 SARCOFAGO – Decade of Decay vinyl Out Now! No trades. For wholesale inquiries, please write to: info@greyhazerecords.com. Available for the first time ever on vinyl, this double LP album features tracks from the following Sarcofago albums: INRI, Rotting, The Laws of Scourge, and Hate. Also features songs from the following demos: Satanic Lust, The Black Vomit, and Christ’s Death. This album was originally released in 1996. – 12 x 24 one-sided Decade of Decay Poster. – 12 x 24 two-sided, full color gatefold insert featuring album liner notes, collage poster created by Wagner Antichrist, and old photos from the band’s various stages. 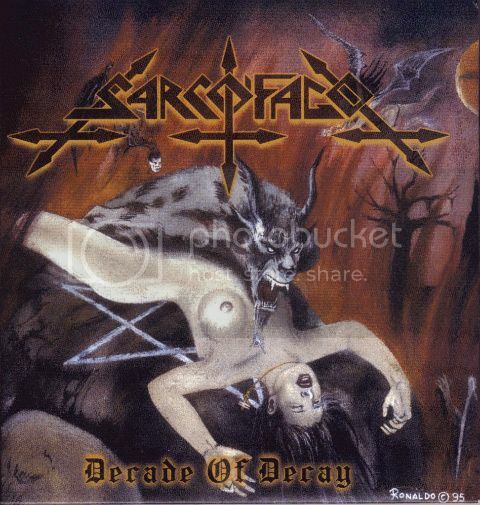 – Over 1 hour of Sarcofago blasphemy! – Available in black and limited translucent purple vinyl.